My girls love playing on their iPad and although many parents are against young children using iPad's, there are many educational apps out there. We have downloaded a mix of apps including games, sing-alongs and educational apps. HeyKids is an iOS nursery rhymes app you can download. You may have seen HeyKids on YouTube or your child may have come across their channel if they play on the iPad, my girls have many times. 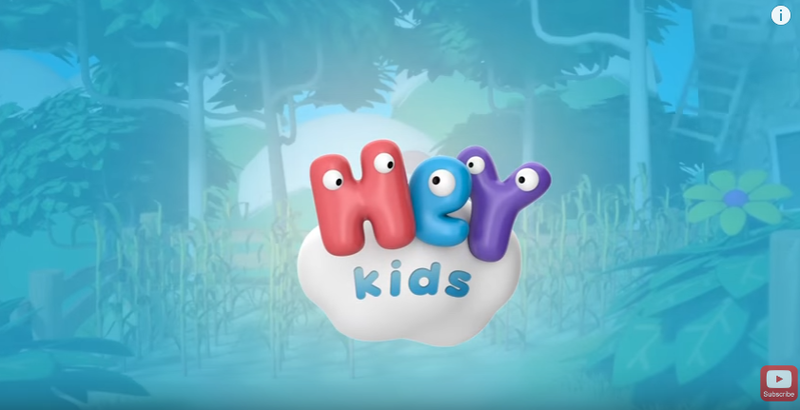 HeyKid is an app that has 40 popular nursery rhyme videos for children to sing along too and enjoy, such as the classic Old MacDonald Had A Farm. • Are you sleeping? Brother John? One great feature about this app is you don't need an internet connection to watch their videos. The app is designed for children, and so it is very easy and simple for them to use, with an instant full-screen video there is no need to mess around with buttons. There are no ads included with the app which makes the app safe for children and it also means they won't click on things they're not supposed too. HeyKids is a subscription which you can either pay $0.99 monthly or $9.99 yearly. The subscription gives you access to their videos and new content each week. Please read here for more information on subscribing to HeyKids. What's your child's best nursery rhyme?